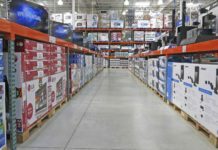 When you walk the aisles of a supermarket, looking at the assortment of items, it may not occur to you to wonder just where all those different foods came from and how they were produced. If you took the time to pick up each item and read the label, you’d start to notice a pattern: Nearly everything on those grocery store shelves came from somewhere far away. For example, I live in New Jersey, but the produce aisle in my local supermarket currently offers cucumbers grown in Canada, blackberries from Mexico, and grapes shipped all the way from Chile. A 2002 paper by the Worldwatch Institute estimates that food eaten in the United States travels between 2,500 and 4,000 kilometers (1,500 to 2,500 miles) from farm to plate. Food that has to travel this far loses a lot of its fresh-picked flavor and nutrition by the time it reaches your table. Furthermore, it creates problems for the environment. For starters, it’s pretty obvious that shipping food over vast distances, often in refrigerated cars, requires a lot of fossil fuel, which adds greatly to its carbon footprint. The Worldwatch Institute calculates that a head of lettuce grown in California and then shipped across the country to Washington, D.C., uses up about 36 times as much energy for transportation as it actually provides to the person who eats it. Even more importantly, the huge farms that produce most of the food in the supermarket tend to be a lot less eco-friendly than smaller, local farms. 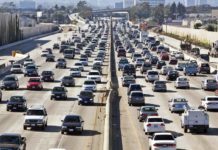 A 2002 paper from the Center for a Livable Future at Johns Hopkins University finds that large-scale industrial farming consumes vast amounts of water and fossil fuel, pollutes the air and water, strips the soil of nutrients, and speeds up the loss of biodiversity – the variety of different species in a particular region. Factory-farmed meats are particularly inefficient because the animals eat grain – which requires additional water, energy, and chemicals to produce – instead of grass. On top of that, animal-welfare activists say the way animals are treated on these farms causes needless suffering. One reason big farmers are able to get away with all the problems they cause is that they have near-total control over the food supply. Since almost all the food in stores derives from just a handful of huge “agribusinesses,” these companies pretty much call the shots when it comes to agricultural policy in America. That means that any attempt to set higher standards for environmental protection, animal welfare, or food safety tends to get shot down. Fortunately, there’s a way for consumers to fight back. By making an effort to seek out locally grown foods, you can help support family farms in your area. Keeping more family farms in business helps reduce the control a few big growers have over our food supply and, in turn, our country’s food policy. At the same time, it gives you a chance to enjoy fresher, tastier, and more nutritious local food. 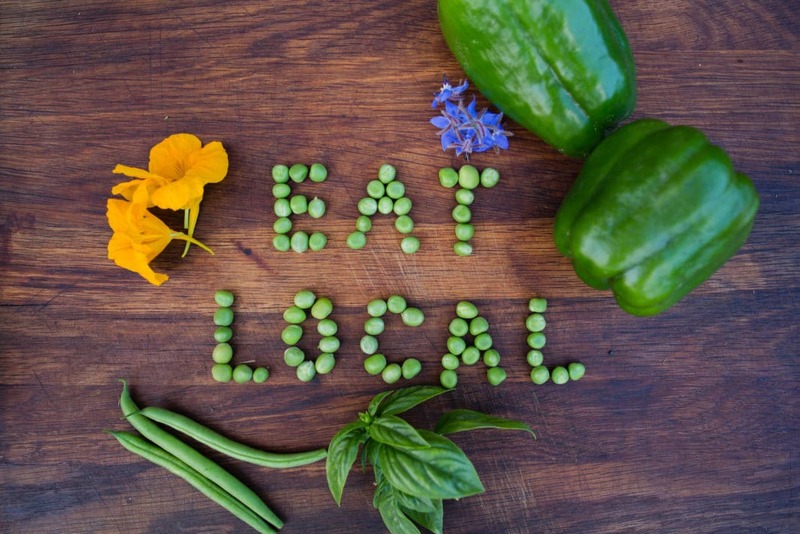 The term “eating local” isn’t as straightforward as it sounds. It’s pretty obvious that an apple you picked yourself at a pick-your-own orchard five miles from your house is local, while an apple shipped across the country is not – but there’s a lot of room between those two extremes. So the first question to ask about eating local is, just how local does it have to be? One of the most popular answers is the one chosen by authors Alisa Smith and J.B. MacKinnon in their book “The 100-Mile Diet.” They decided that for their one-year experiment in local eating, they would look for foods grown within 100 miles of their apartment in Vancouver, British Columbia. They settled on this limit because they thought a 100-mile radius is “large enough to reach beyond a big city and small enough to feel truly local.” In a 2008 survey of over 750 American adults by the Leopold Center for Sustainable Agriculture at Iowa State University, about two-thirds agreed that food couldn’t be considered local if it had traveled more than 100 miles from the farm where it was grown to the stores where it was sold. However, a 100-mile radius isn’t the only way to define local food. In the Leopold study, a large subset of the group that agreed with the 100-mile limit actually said they would prefer to define “local” even more strictly. 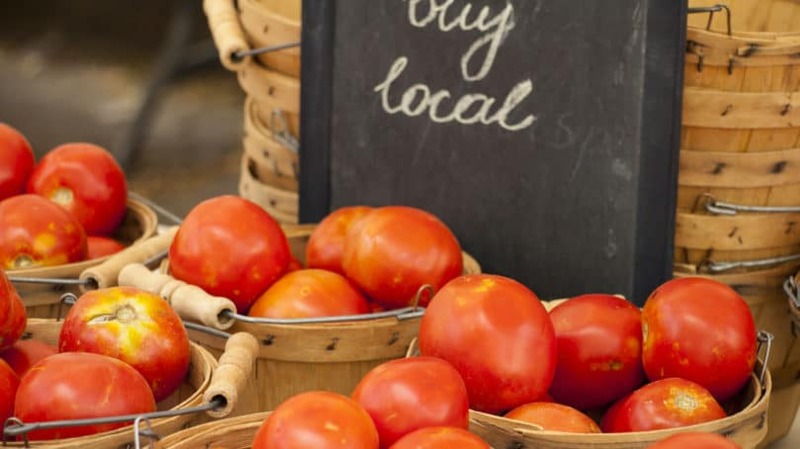 According to this group – about 38% of all the respondents – “local” food should be grown no more than 25 miles away from the stores where it’s sold. This answer was more popular in the Midwest and Northeast and less popular in the West, where the population is spread out across larger areas. About one in three respondents in the Leopold study didn’t actually define local food in terms of a specific number of miles. Instead, they said local food was either “grown in your state” or “grown in your region.” This answer was most popular in western states, where farming is a major part of the economy. For example, for the people of Iowa, buying Iowa-grown produce is a way to support their state’s farmers and protect their jobs. Many experts recommend taking a flexible approach to local eating. For example, in her Local Food Challenge, author Vicki Robin suggests eating food grown within 100 miles of your home, but also allowing yourself 10 “exotics” – foods from distant areas that you can’t live without, such as coffee or bananas. The creators of LocalDiet.org also recommend giving yourself a few “escape clauses” to deal with situations like restaurant meals or dinner at a friend’s house. And Sage Van Wing, who coined the term “locavore” to refer to a person who eats only local foods, told the Worldwatch Institute that she started out by trying to eat only foods grown within a 100-mile radius of her Northern California home, but now she just focuses on finding the closest available source for every food she eats. Many of the fruits and vegetables at large supermarkets were picked weeks or even months ago. Sometimes, such produce is picked before it is fully ripe and subjected to artificial ripening with chemicals. By contrast, when you shop at a farmers market, most of the food for sale has been picked within the past day, according to LocalDiet.org. It comes to you fresh from the field, at the peak of its ripeness and flavor. The produce you find in supermarkets is typically limited to a few well-known varieties, chosen for their yield and how well they can stand up to long shipping and storage times. However, farmers who sell their food locally can choose their crops based on taste, nutrition, or how well they grow in the local environment. LocalDiet.org reports that while supermarkets typically offer just two or three varieties of pears, small farms across the country grow nearly 300 varieties. Local farms also grow less common crops that you can’t find at all in most supermarkets, such as sunchokes, purslane, and tayberries. Fresher food doesn’t just taste better – in many cases, it’s also better for you. A 2007 article from the Harvard School of Public Health notes that many fruits and vegetables, including tomatoes, peppers, and peaches, contain more nutrients when they’re allowed to ripen fully on the plant before picking – something that doesn’t always happen with supermarket produce. In addition, the food grown on big industrial farms isn’t always as nutritious as the less common varieties grown on local farms. A 2007 paper by the Organic Center finds that for many common crops, including wheat, corn, and broccoli, the highest-yielding varieties have lower levels of nutrients than older varieties with lower yields. One problem with having our country’s food production concentrated in the hands of just a few big agribusinesses is that an outbreak of foodborne illness at just one site can affect thousands, if not millions, of people. And because food from one site gets delivered to many different parts of a country, it’s hard to trace an outbreak to its source and stop it effectively. Foodborne illness is particularly likely to strike industrial meat producers because they tend to rush animals through slaughter and processing as rapidly as possible, which makes it harder to safeguard the meat against bacteria. Eating food from local farms helps reduce our nation’s dependence on the biggest growers, so a single outbreak of foodborne illness is less likely to turn into a major disaster. Another problem with relying on a few big growers to supply our nation’s food is security. A natural disaster that disables just one farm could create food shortages across the entire country. Supporting local growers helps spread out our food production, so a single disaster can’t cripple our food system. It also helps make fresh food available in all parts of the country. Local food doesn’t just travel a shorter distance to reach your plate – it’s also more likely to come from small family farms that are run in a sustainable way. Compared to large industrial farms, small local farms are more likely to grow multiple crops, plant cover crops, and leave hedges to provide a habitat for wildlife, according to the Worldwatch Institute. Many local farms also use organic farming practices, even if they don’t meet the standards for organic certification. Organic farms use less water and fewer harmful chemicals, and they tend to have a lower carbon footprint than conventional farms. When you buy a chicken or a bag of apples at the supermarket, you know very little about how the chicken was raised or how the apples were grown. However, when you buy directly from a local farmer at a farmers market, you can ask any questions you have. You can find out whether the chicken is free-range, what kind of food it ate, what types of pesticides were used on the apples, and how the workers who picked them are treated. Many locavores say that for them, knowing where their food comes from and having a direct relationship with the growers is the most valuable part of eating local. Eating locally grown food is a way to support your local economy. When you hand your food dollars to a local farmer rather than a big, distant corporation, that farmer is much more likely to hand those same dollars over to other local businesses for things like seeds, supplies, and machinery. Small farmers are also more likely to send their food to local stores and local restaurants, supporting more jobs in your community. And finally, supporting family farms helps keep them in business, so all those green fields don’t get sold and paved over to build new condominiums and shopping malls. Depending on where you live, it could be difficult to find certain foods from local growers, possibly including some that are staples of your current diet. For instance, since most of the nation’s wheat is grown in the Midwestern states of the “wheat belt,” it’s difficult to find local wheat in other parts of the country – and no wheat means no bread, cookies, pasta, pancakes, or dozens of other foods made with flour. One way around this problem is to declare wheat to be one of your 10 “exotic” foods that you’re allowed to buy from non-local sources. You can also try to cut back on wheat without eliminating it completely, getting more of your carbs from foods you can obtain from local sources, such as potatoes. Unless you live in one of the warmest parts of the country, even foods that are grown in your area aren’t likely to be available year round. Eating locally means learning to shift your eating habits – enjoying different foods that are in season at particular times of year rather than trying to eat the same diet all year long. One specific problem for locavores in northern states is the lack of fresh fruits and vegetables during the winter months. Preserving local produce during the summer months is one way to get around these wintertime shortages. The cost of eating local depends partly on what you eat and partly on where you live. For instance, a survey by Slow Food Skagit River Salish Sea in Washington State found that both conventional and organic produce cost slightly more per pound at local farmers markets than at supermarkets – but a more detailed study conducted by the Leopold Center in 2009 found that local, seasonal vegetables in Iowa cost less per pound, on average, at farmers markets than at supermarkets. However, the study also showed that if the amount of each vegetable purchased were adjusted to reflect how much of it the average Iowa family eats, the supermarket produce would cost less. This shows that one way to make local eating cheaper is to change the way you eat. If you try to eat all the same foods you’re used to now while getting everything from local sources, you’re probably going to need to increase your food budget – but if you buy more of the foods that are cheapest to grow in your area, you could easily end up spending less on food than you do now. There’s no way around it: Getting all your food from local sources takes more effort than just buying whatever you find on the supermarket shelf. For one thing, it means doing most or all of your cooking from scratch, since it’s next to impossible to find convenience foods made with local ingredients. It also means eating out less, unless you’re lucky enough to have “farm to table” restaurants in your area that get their food from local growers. On top of that, it takes time to find local sources for all the foods you eat, and it takes work to preserve fresh produce in the summer so you have enough to eat in the winter. Locavores admit this extra work is a challenge, but for many of them, it’s a very satisfying one. Although local food is often better for the environment than mainstream food, experts caution that choosing your food based on where it was grown isn’t necessarily the best way to protect the environment. For instance, a 1997 report for Lund University in Sweden found that tomatoes grown in Spain and shipped to Sweden had a lower carbon footprint than Swedish tomatoes, which were grown in greenhouses heated with fossil fuels. So if you’re trying to eat local to help the environment, you need to pay attention to your food choices, focusing on foods that are in season and easy to grow in your area. Given the challenges of eating local, it’s not really something you can just dive into with no preparation. The authors of LocalDiet.org recommend starting out small, by adopting a 100-mile diet for a week, a day, or maybe even just a single meal. Based on how hard that is and how satisfying you find the experience, you can decide whether to extend your local-eating experiment over the long term. If you think you’d like to try local eating for a longer period of time, you can try joining Vicki Robin’s 10-Day Local Food Challenge, which she runs every year. The rules can be summed up as 10-100-10: for 10 days, eat only food grown within a 100-mile radius of your home, except for 10 “exotics” from more distant areas. A quick Internet search can help you find local food sources in your area, from lists of nearby farms, to community cafes that serve locally grown foods. One good online resource is Local Harvest, where you can enter your city and search for farms, farmers markets, restaurants, and a variety of other resources. You can even look for specific farm products, from fruit to wool. Another site, Eatwild, focuses specifically on pasture-raised meats and other animal products. Although a lot of the food on supermarket shelves is shipped from far afield, it’s often possible to find locally grown foods as well. In some parts of the country, labeling programs help you identify locally grown foods in the store – such as the Jersey Fresh label in New Jersey, or the Piedmont Grown label in North Carolina’s Piedmont region. If you don’t see any local food labels in your supermarket, try asking the store manager whether any products come from local farms. One obvious place to find locally grown food is at a nearby farmers market, where you can buy it directly from the grower. You can find farmers markets in your area by searching online or contacting your local tourism office. 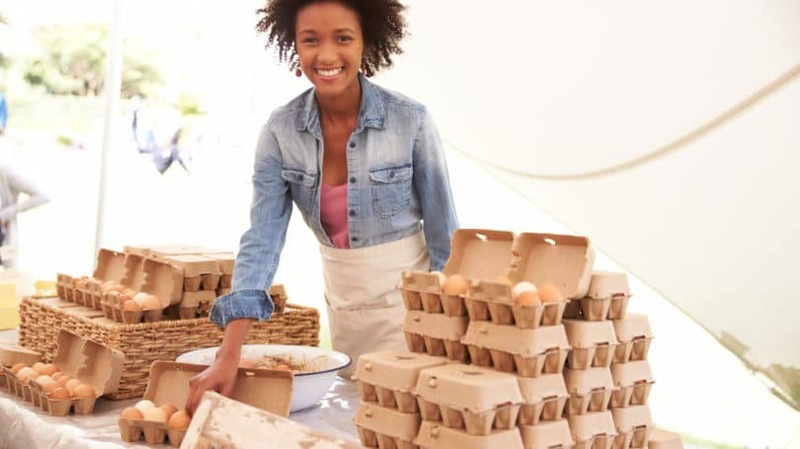 Other ways to buy directly from farmers include roadside produce stands, pick-your-own farms, and gleaning programs, which let you come through and pick whatever is left in the fields after the harvesting is done. If you’re planning to stick with your local eating experiment, you can guarantee yourself a steady supply of fresh local produce by joining a community supported agriculture (CSA) program. When you join a CSA, you pay a lump sum directly to a farmer at the start of the growing season in exchange for a share of that year’s crops. Another option is to join a food co-op – a nonprofit, member-run grocery store that typically buys its food directly from local growers. You can find a local food co-op online through the Co-op Directory Service. If there are particular vegetables you like that you can’t find from local growers, you can always start a home vegetable garden and grow them yourself. Even if you live in an apartment with no yard, you can use a balcony or a sunny windowsill to grow pots of salad greens and herbs. You can also try joining a community garden if there’s one in your neighborhood. In many areas, you can even keep a backyard garden growing through the winter, with cold-hardy crops such as cabbage, spinach, turnips, and kale. Adding cold frames or a greenhouse is another way to extend your growing season. Even without a garden, there are still ways to enjoy food you picked yourself. Many wild plants, such as greens and berries, are edible and highly nutritious. Sites such as Edible Wild Food and Eat the Weeds offer advice on which plants are edible, where to find them, and how to prepare them. Just use caution when foraging – never eat any plant you can’t identify for certain, and avoid collecting in areas where herbicides or pesticides are sprayed (next to roadways, for example). In many parts of the country, practically nothing grows during the winter months, either on farms or in the wild. However, you can still enjoy local food through the winter by planning ahead. Many foods, such as winter squash, sweet potatoes, and apples, can last for months if they’re stored properly. Others can be preserved by canning, freezing, pickling, or drying, so you can continue to enjoy summer’s bounty all winter long. Check with your local cooperative extension office, which you can find through the U.S. Department of Agriculture site, to get tips on how to preserve produce. If your main goal is to make the food you eat as eco-friendly as possible, eating local isn’t the only way to do it – or even the best way. Food’s biggest impact on the environment isn’t the energy used to ship it from the farm to the store – it’s the energy, water, and chemicals used to produce it. So if you want to make your diet greener, other strategies – such as eating organic, becoming a vegetarian, or just cutting back on meat and dairy – can probably have a bigger impact than focusing on how far your food has traveled. However, while local food isn’t necessarily greener, greener food is often easier to find locally. Buying directly from farmers makes it easier to get the complete story on how your food was grown – so you know whether your eggs come from pastured hens or what pesticides were used on your strawberries. In some cases, knowing the grower even gives you a chance to make requests. 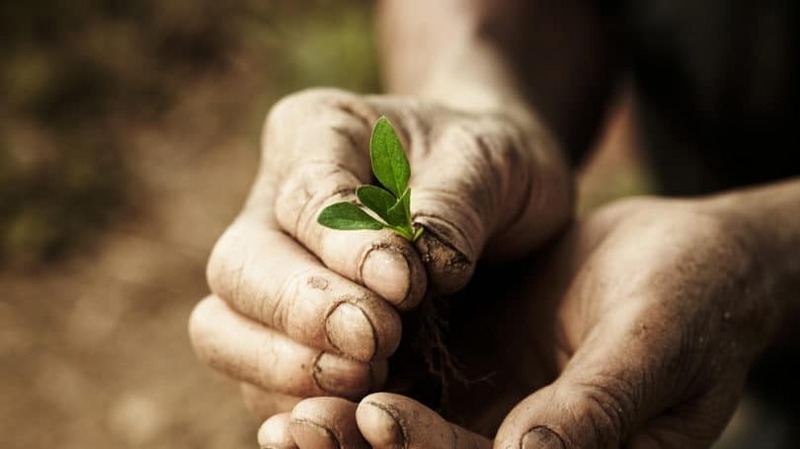 A farmer who interacts with customers regularly has a chance to learn if they’re more interested in organic or sustainable choices, and is more likely to adopt those practices to keep the customers happy. For many locavores, it’s not only the environmental benefits of local food that matter, but the social benefits. Eating local gives you a personal connection with your food and the people who produce it. A salad is no longer just some greens in a bowl – it’s greens from a farm you’ve actually visited, grown by a farmer you actually know, perhaps topped with some cheese that came from cows you’ve seen grazing in their fields as you drive by. So with every bite, you gain not only nourishment for your body, but also a deeper sense of connection to the place where you live and the people who share it with you. What places do you know of to buy local food in your area?